The Exclusive Life Coach Certification School! Discover how you can truly help others as a fully certified, and very well paid, life coach in as little as the next 9 weeks! Do you find that people naturally come to you for advice? Do you have a desire to help people – to encourage people – and to life people up in life? If You Want The Life Of A Successful Coach With All The Benefits It Offers, Including More Free Time And More Money…You’re In The Right Place. 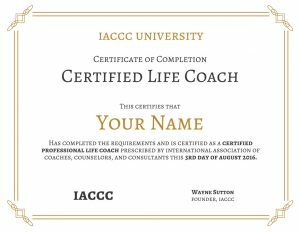 Imagine being able to become a fully certified life coach. Imagine being able to work from home… or anywhere you choose! Imagine being able to truly help people reach their goals! Imagine being able to minister effectively using proven coaching tools and systems! Imagine being taught personally by Master Coach Wayne Sutton himself! Let me repeat, this is not a “diploma mill” of life coaching. 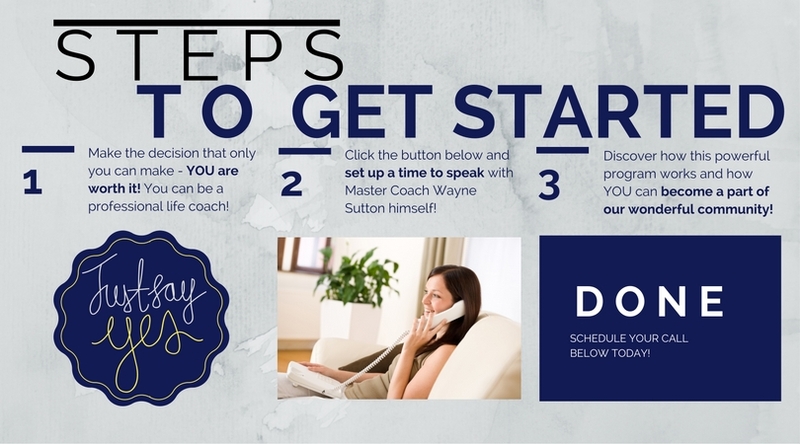 How You Can Become A Certified Life Coach from Wayne Sutton on Vimeo. When you make the wise decision to become a certified coach with IACCC you will be personally trained by Master Coach Wayne Sutton, the founder himself, through video and audio online courses – and yes there will be homework. Book your appointment today… click here.